Super promotion EUROLIGA Barça Lassa vs Buducnost Voli! THE BEST WAY TO ENJOY A MATCH OF EUROLIGA TICKETS FROM €4! 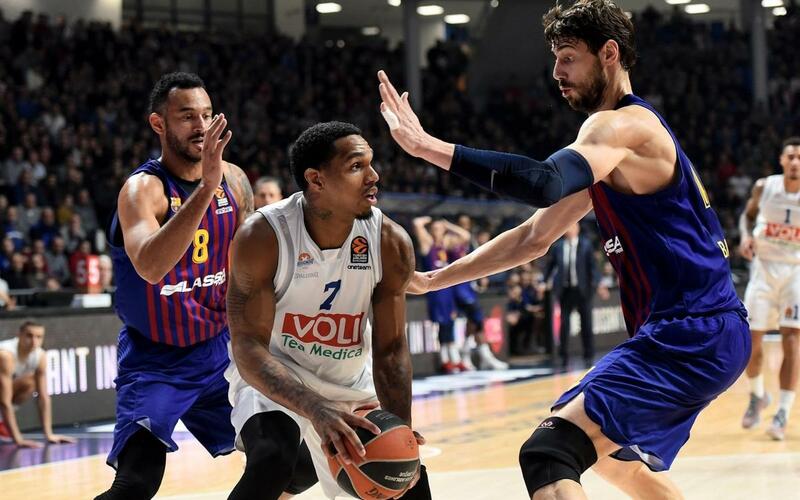 We give you € 30 to exchange tickets for Barça Lassa vs Buducnost Voli to enjoy the Euroleague match! These €30 are to buy up to 5 tickets with €6 discount each, applicable to any area of ​​the Palau. Tickets in Zone 4 will come from only €4. Benefit now from this discount by applying the EUROLLIGA30 promotional code! Enter the promotional code EUROLLIGA30 and ... Enjoy the best basketball for just €4! 1. Click on the purchase button and select your tickets in any area of ​​the Palau. 3. Enter the code EUROLLIGA30 in the field "Do you have a promotional code? Promotion not combinable with other offers. Valid for the match Barça Lassa vs Buducnost Voli on March 28, 2019 in any area of ​​the Palau, while supplies last. Promotion only applicable on the Club website (fcbarcelona.com) using the code EUROLLIGA30.